Some of you might be wondering what is going on behind the scenes. 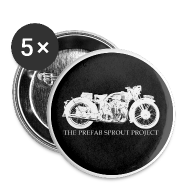 Did the project just fade away, much like the real Prefab Sprout did? The answer is NO, nothing has faded - not just yet. It's true, the project has been stalled for lack of funding, but the desire, will and want to finish is still very much alive and well. I have been chatting with a few key people, and as it stands - In order of achieving a reasonable financial goal, I have had to revamp the song list and trim a few as well. 2). Digital release of the record, rather than a CD release. But, I should add -that IF the funds are there -I will certainly press a small run of CD's (a few hundred). 3). A second fundraiser will take place in the near future, this time with Indiegogo.com (rather than Kickstarter). 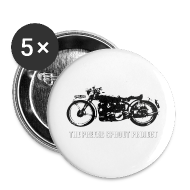 Indiegogo has much better perks and makes better sense for this project to succeed. And the goal will be set dramatically less than the previous $10K, which was to cover Neil and Pavllou (the artist), as well as a large CD pressing with posters, T-shirts and various other reward product that was offered. I'm not sure of how the art work will pan out yet, though, I have spoke with Pavllou (East Orange) and she is willing to work something out -so I am hopeful there. I encourage those of you who have an interest in helping the project succeed, by sending me your email address so that I may contact you when the Indiegogo fundraiser is about to go live. I do feel quite positive that this go-round will be a successful one! Many thanks to all of you who have supported the project with such zeal!